Last week I said that President Trump was going to win reelection by a bigger margin because of what happened in Charlottesville and how the media distorted the event. Just is a tidbit of evidence that my prediction is on track. NewsMax reports Americans agree with President Donald Trump's defense of Confederate monuments, and few think getting rid of the statues will lessen racial tensions, a new poll shows. 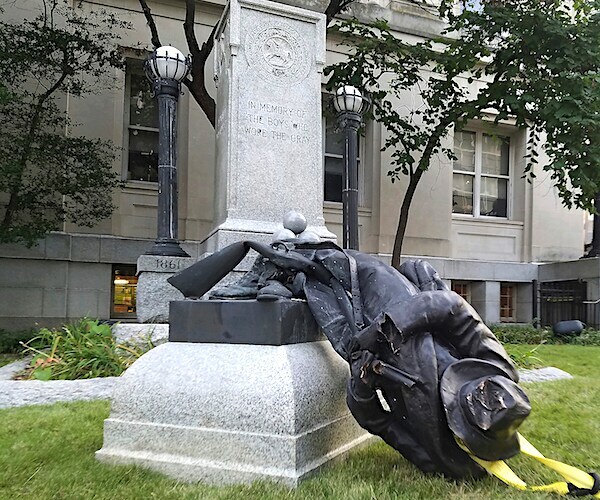 The Rasmussen Reports survey released Monday found 50 percent of registered voters agree with Trump's tweet it is "sad to see the history and culture of our great country being ripped apart with the removal of our beautiful statues and monuments."